Versa | Commit Marketing | A Full-Service Marketing, Web Design & Development Firm Located In Sarasota, FL. Headquartered in the San Francisco Bay Area, VERSA Engineering & Technology is a full-service engineering company, providing exceptional technical support services for industrial clients since 1996. The team at Versa had a vision to continue to elevate their brand and deliver an improved online experience. 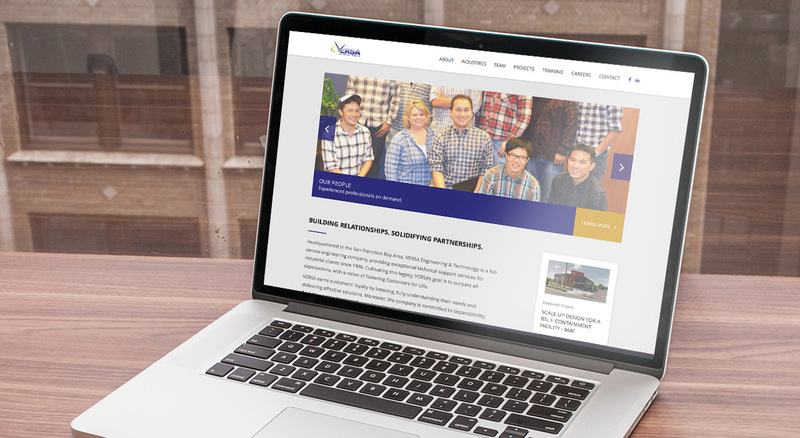 We collaborated to learn much about their history and what sets them apart from their competition to concept and deliver a refreshed logo, print collateral and a new website. 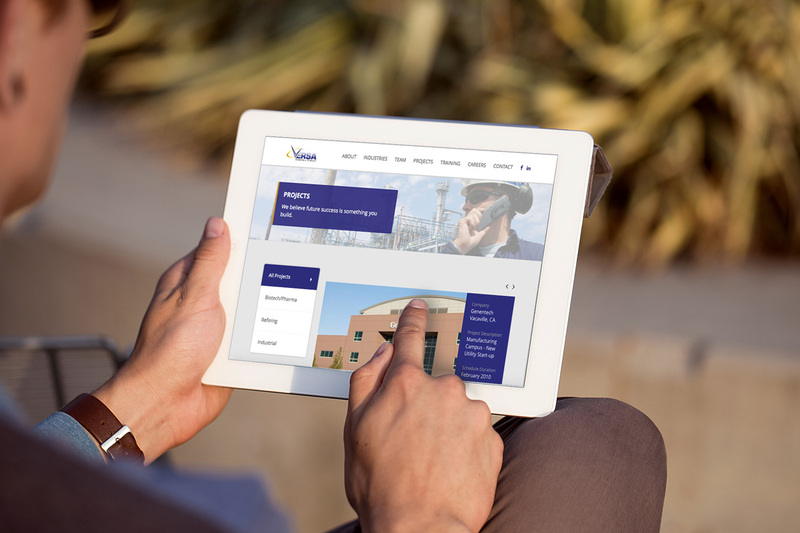 VERSA’s website required a challenging approach in regards to user experience. They required a great amount of data, services, projects and other content. This website took a couple of attempts to get just right, but after extensive information architecture studies, the solution became apparent. In this case, the website required a secondary navigation on many of it’s pages to really reinforce their well-rounded complexity as a company. VERSA’s website was, honestly, a really fun exercise in the UI department. We really enjoyed aggregating the amount of content that they had and inserting it in to a beautiful, functional design. Our favorite part of this design has got to be the inside header design, as it is just a touch outside what you usually see on websites. Our team at Commit worked with Versa Engineering + Technology to develop and design a refreshed logo to consider for a re-brand. We worked along their team learning even more about their company and industry so we could create unique solutions. 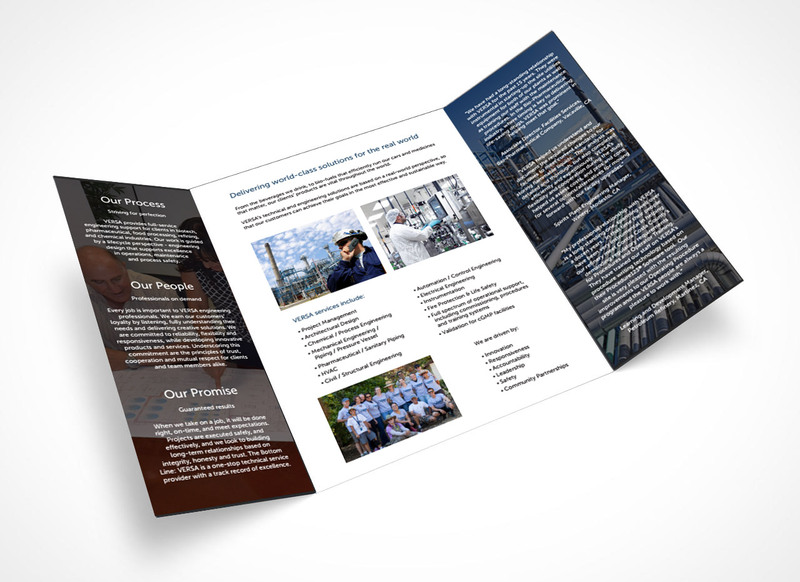 Next, we took the information collected and crafted custom content to include inside a modern, clean and industry specific brochure. This marketing tool communicated their who, what and why. 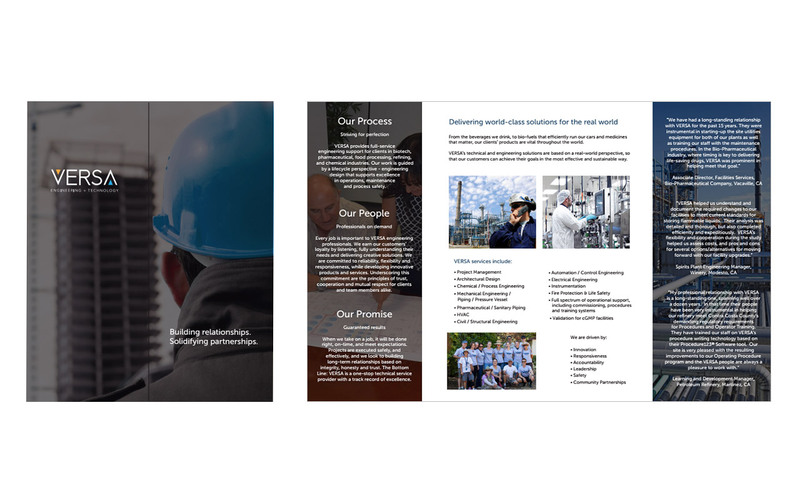 Our approach led us to a gatefold brochure highlighting the people and process of Versa Engineering + Technology.